The thrift stores are packed thanks to the Konmari craze! I was there last week and couldn't believe how much stuff there was. As I rifled through the shelves, I ran across these unpainted wooden crosses and I thought they'd be a perfect gift project for Easter. 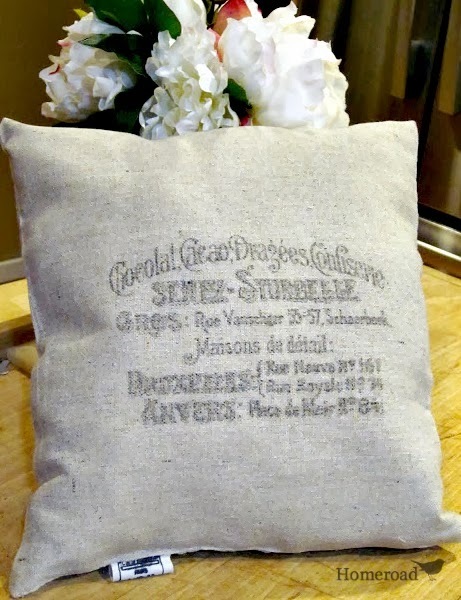 You can find similar products by clicking on the green links. 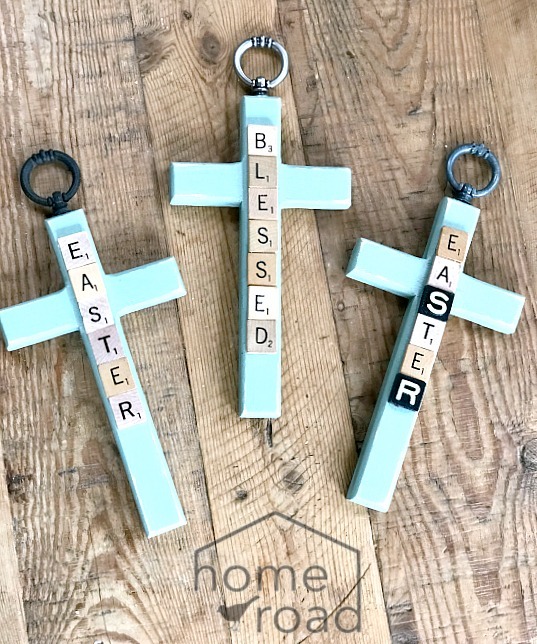 I'm hosting Easter and I always like to make a little gift for my family. 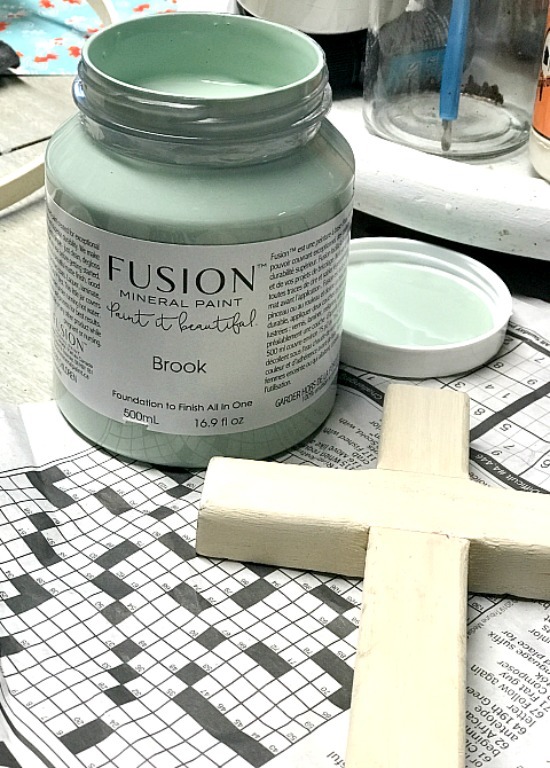 The first thing I did was to paint them with a new color I'm trying today called Brook by Fusion Mineral Paint. 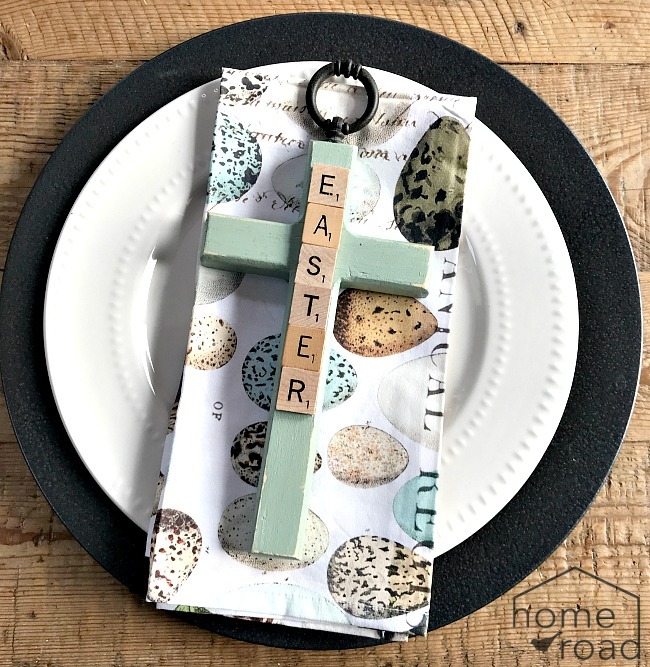 Brook looks like a pretty greenish-blue Spring egg so it's perfect for Easter. As usual, I dry my projects by the fan to speed up the drying process. 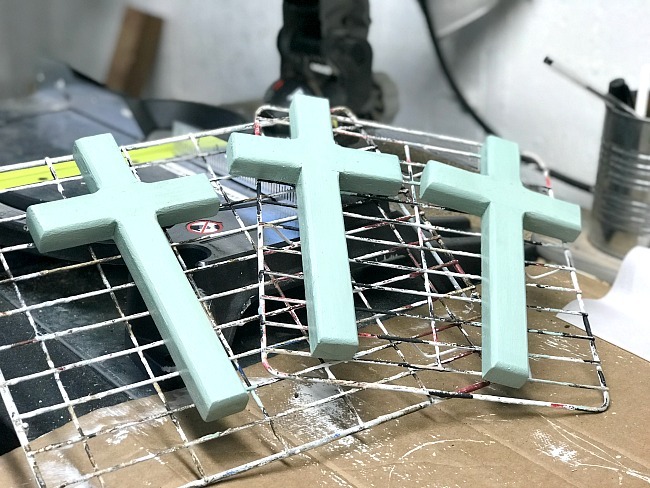 When the paint dried I sanded the edges slightly to distress the crosses. 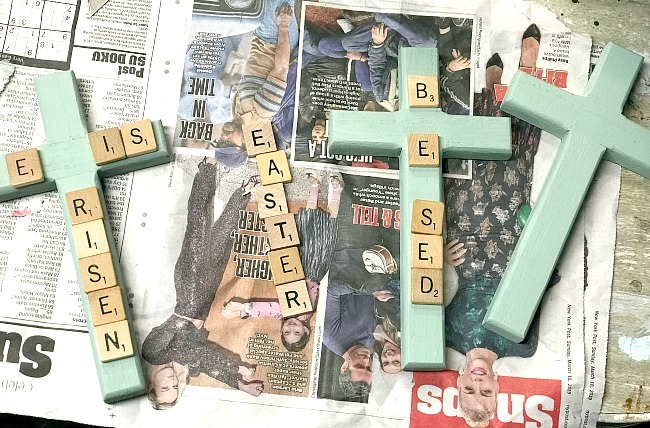 Next, I grabbed my stash of Scrabble tiles and started arranging Easter words on the crosses. 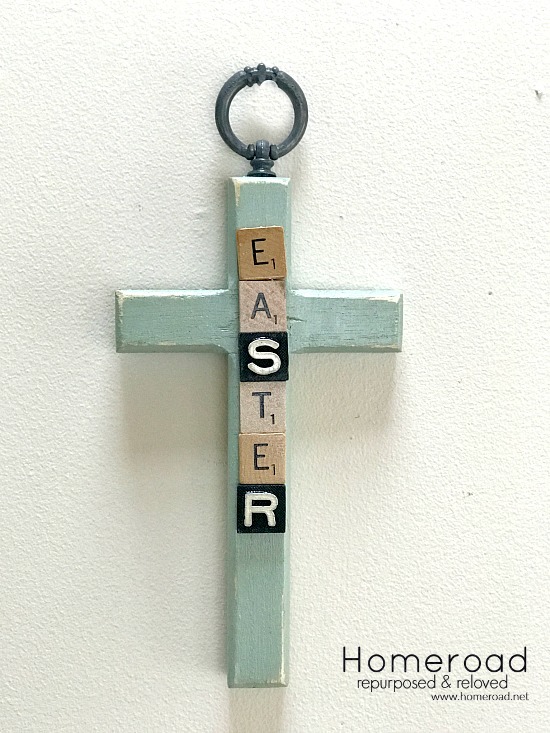 I made a similar project at Christmas time... DIY Scrabble Tree and Cross. 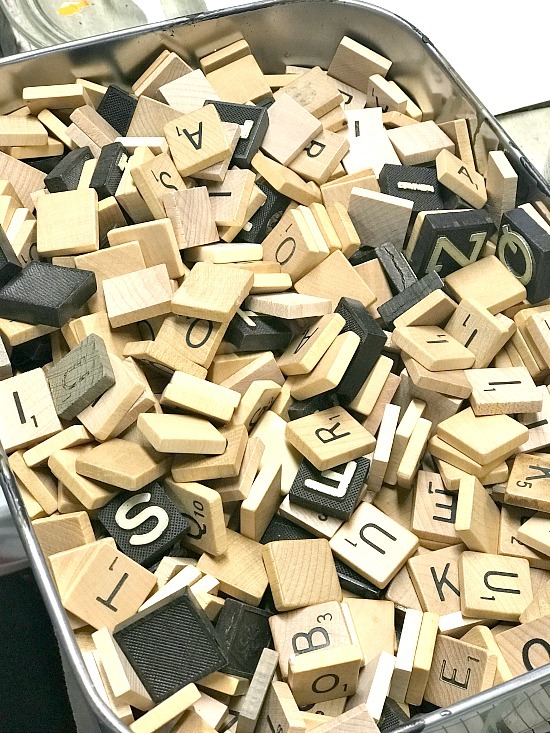 With all the tiles I have, somehow I don't have any "H's" and I always seem to need one! I wonder if you can buy just H's someplace? 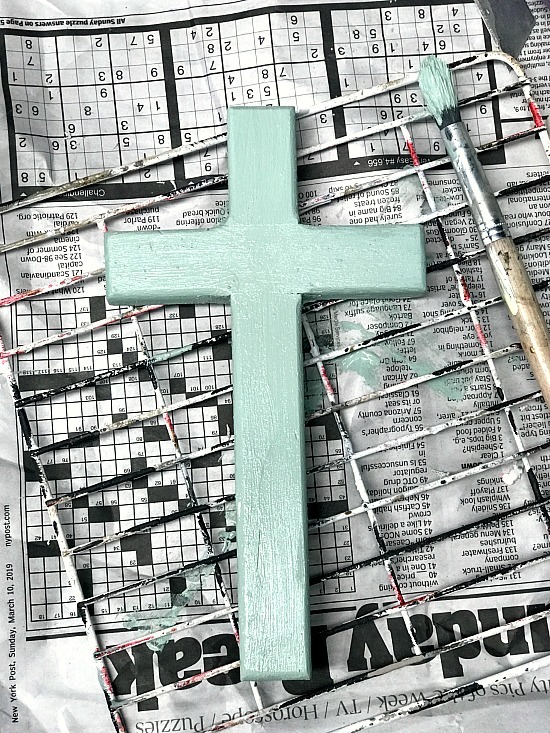 I used hot glue to attach the letters to the crosses then used Fusion Mineral Paint's tough coat to seal the crosses and the letters. Next, I attacked another large stash I just acquired... hardware knobs... lots of them! A friend told me about a store going out of business, they were throwing them away so I was there to catch. 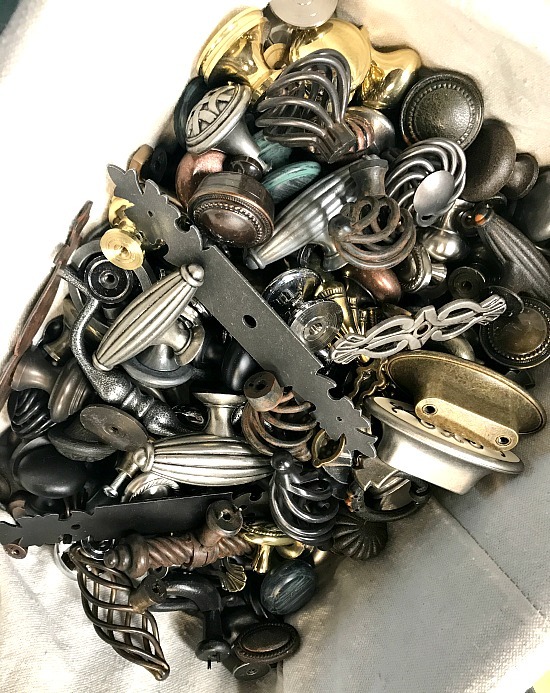 These knobs, door handles, and about 50 cabinet doors are my future upcycled projects... so stay tuned! 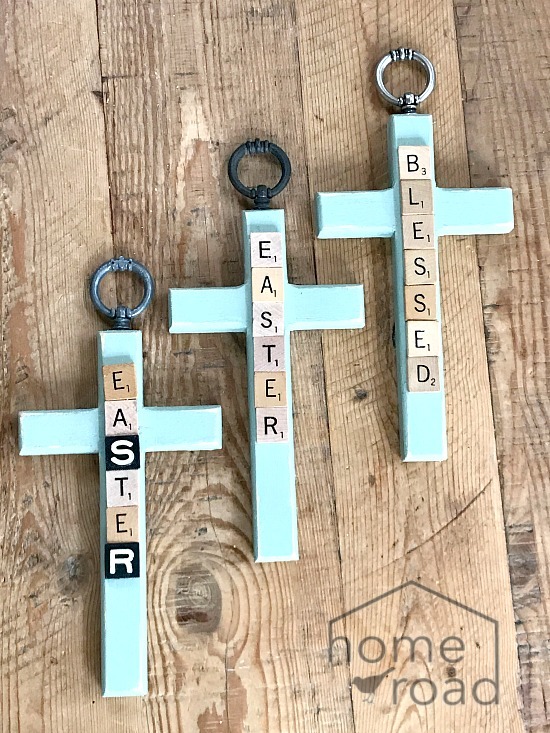 I added a ring knob to the top of each cross for hanging. 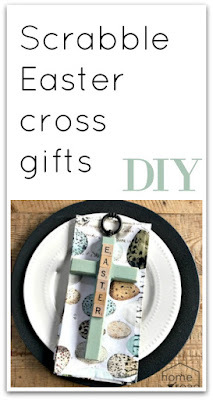 and they're going to make great Easter gifts for my guests. Thanks to Fusion Mineral Paint for giving me the paint. All opinions are my own. 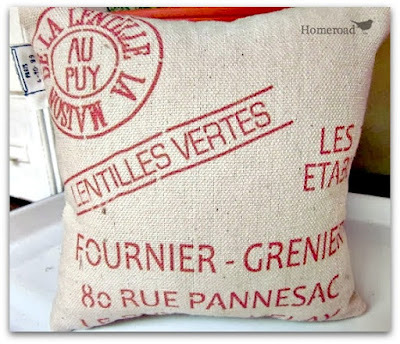 to sign up for the Homeroad emails so my latest DIY project can be sent straight to you!